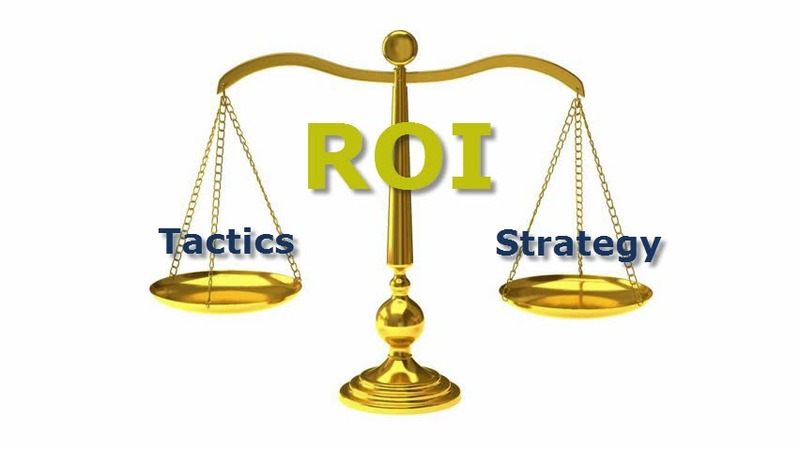 Is ROI the Right Metric to Measure the Success of a BPM Implementation? Resolved Is ROI the Right Metric to Measure the Success of a BPM Implementation? In evaluating the success of a BPM implementation, is ROI the right way to do it? ROI is always a natural question to ask: the nuance is making sure that the ROI is measuring the *values* of the company. Is is money? Speed? Throughput? Error Reduction? The Return on Investment is a natural measure, but the commodity of return can be more finely calibrated than just money. Hi, all of these metrics (speed, throughput, error reduction, ...) are convertible in money. I agree that there are many other aspects beyond money, but all you can convert in money are understandable by the stakeholders, specifically the top management who decide or not about the investments. ROI is a very useful metric when implementing BPM as an investment. But I wouldn't say it is always the right metric to measure the success of a BPM implementation. I can imagine several scenarios, where the ROI would be secondary. For example, if you need to implement BPM to compete and survive because your competitors are being more efficient and they are delivering faster and better, the success should be measured in terms of reaching and outperforming the competition. In plain English: the measure would be if you survived. Later, you can try to analyze the investment, if it returned, and how quickly it returned, but it would be a second stage. @Juan . . . Agree totally . . . The right measure would seem to be the objectives that were referenced in the ROI for the reason that things change. Any go/no go decisions re an authorized ROI SOW should be based on relative status toward meeting such objectives. Hi, be more efficient, delivering faster and better are convertible in money. The reasons that can push the companies to invest in a BPM solution, can be internal or external (e.g., survive against the competitors). Jose: What I'm trying to explain, is that you always can try to calculate the ROI, and that's right, it is a useful decision tool. But, it is not always easy, sometime impossible to get an accurate ROI, specially in BPM initiatives, so, it wouldn't be the only instrument to be considered when deciding an implementation. Best ! OK, agree strongly that pure ROI is difficult, but we do have SROI which puts less of a focus on dollars, then we have SWOT which tells you whether you should be doing a proposed initiative or stop doing and in-progress initiative. Then, for and during implementation of any initiative, we have FOMM (setup of goals/objectives and non-subjective assessment of progress toward meeting these goals). Does anyone know other useful methods? See "Policy, procedure, KPIs – how to run a business"
See "Good Decision-making – The basics and beyond"
P.S. SWOT is helpful both in strategy and at the operational level, and, the precursor of SWOT, in my view is "RBV (Resource Based View)" although 80% of the people I try to sell this concept to have never heard of it. Russel Ackoff identified back in 1970, three types of planning : satisficing, optimizing and adaptivising. He said at the time we did not have the means to do "adaptive" (referring to strategic level planning, not operational execution as in ACM). My take is graphic "3D free-form search Kbases" have made adaptivising planning practicable, but, who does this, aside from a few of us who have no choir to preach to? See my concept below of how 3D Kbases and RBV can complement each other. "Theories of the Firm – Expanding RBV using 3D free-form search Kbases"
Anyone with an advanced case of insomnia can get an instant remedy by reading over the above blog posts. Hello, ROI is for sure one important metric to measure the success of a BPM implementation. Everybody wants to invest to get the respective return and proceed creating added value. Anyway, to support the ROI we need to find other metrics. So, any BPM implementation should be subordinated by business objectives, through the internal improvements (e.g., increase the efficiency, increase the quality of delivery, decrease the waiting and processing times and costs, etc.) or through the external impact (e.g., increase the revenue, the interest, customer satisfaction, compliant with external rules, etc. ), or both. Then, start based on the as-is situation, design the to-be solution to achieve the proposed objectives. At the end of the BPM implementation cycle, measure the metrics and compare them with ones of the as-is situation. So, based on the achieved add value and the investment done, calculate the point in time to get the return on investment. Agree with Jose “to support the ROI we need to find other metrics ”and I would add that the ROI must reflect your mission, vision and TOM (which are, I am sure, already defined in your enterprise architecture) to avoid any early manipulations and later disappointments. So, ROI is the right way if you define and calculate ROI in the right way. I think it is safe to say that ROI on any SOW that is of long duration and involves major setup or putting in place infrastructure rarely is a "good" measure until after the fact. This is why methods like FOMM (Figure of Merit Matrices) at Cases are so important because they give Case Managers a bridge between ROIs (the authorizing component of an initiative) and Cases (the implementation component of an initiative). FOMM gives you a non-subjective means of assessing progress toward attaining objectives. FOMM was invented by the RAND corp (it seems they no longer know this so they are in Donald Rumsfeld's "unknown knowns" territory), but I remember this and wrote about it - it was first used to prioritize range, payload and accuracy on ballistic missile launches. All that is needed to make these various parts fit is for anyone approving ROIs to reject submissions that do not have stated goals/objectives. Actually, a few organizations today are asking functional departments to prepare and submit SROIs, not ROIs. To measure the success of a BPM implementation, ROI certainly is one of the possible ways, as it often represents the most intuitive mental hop in search for justification, but more often than not ROI turns out to be a derivative of more basic and easier to measure process metrics, such as time, energy or even paper consumption. It has proven to be more comprehensive for process success teams, like BPM Centers of Excellence (CoE), to start tracking the variable "time" in all its facets within a process first, analyze this output and apply monetary factors later, in order to gain further, budgetary insights (including ROI). In that sense, a CoE can start looking at the total case/incident life cycle, expressed in working hours, from an inventory point of view, and contrast that against the different situations of pre-BPM or pre-BPM improvements, for example. Then, of course, the usual suspects can be measured, such as worked time per case/incident, lapsed time, queuing time, time per resource per case and many other indicators more. ROI, ROI, ROI! Like the elephant, so many ways to consider ROI. The question concerns using ROI as a measure of success after a BPM implementation. Such an assessment is thus done with high certainty at a given point in time. Note however, that any post-event assessment of success is exactly that, an assessment at a point in time. Any useful measure of business success must include some valuation on future expectations. From this perspective, a backwards-looking assessment of success is not really useful; business is always forward-looking. So all assessments in business are future looking, and intended to support decisioning. So let's assess of ROI itself as a measure supporting investment decisions. Any sales against a business case needs a short-hand value assessment supporting a go/no-go decision. ROI might do it. Or more simplistically, lots of organizations use "pay-back period". A plant exec told me not too long ago that if the payback was less than a year, then they'd do the project because it would come out of OPEX. In a more complex scenario, finance will say that ROI ignores any discount for future uncertainty. Especially if you are looking at CAPEX, you'll need to factor in a discount rate, so your ROI turns into textbook NPV. Except any business case which includes a valuation of future will be very much dependent on certainty -- or better, "uncertainty". Uncertainty drives risk. And there are many kinds of risk, including technical, financial, business etc. etc. Do we really have any idea about how a BPM process play will fair a year or two from now? Some of the comments above capture this sense of "just doing it". In which case, ROI is just a crude checklist item supporting a gut feel. That's not a bad thing. Any attempt to shoehorn business decisions into a total framework of rationality will be likely doomed. The real is too complex. Another consideration or ROI and investment decisions is the specific category of investments. @GeoffreyAMoore's The Four Zones splits investment opportunities into performance, productivity, incubation and transformation. Investments, including process investments, in each zone are best made according to criteria appropriate for that business zone. For example, ROI works better in the first two zones ( together known as "sustaining innovation" ) than in the latter two zones ( together known as "disruptive innovations" ). The original question concerned post facto assessment of the success or not of a BPM implementation. Considering that any measurement of success always includes a discounted future, we broadened the discussion of ROI to look at ROI as investment heuristic. Given that business leaders seem to believe that the current rate of business transformation is at an all-time high (even though this is probably not true), any tools that can help leaders make better investment decisions are welcome. And that includes ROI, which is crude but simple. Useful for time-poor executives. And given that tacit domain knowledge is sometimes hard to codify in an investment metric, crude but simple might just be what the doctor ordered. OK, the thing is corporations today need to buy or requisition things that address unanticipated future needs, not anticipated future needs (their anticipations may be wrong) and manytimes, not needs as defined before they bring in the consulting gurus or facilitators (i.e. if they knew what they should have done or should be doing, they probably would already be doing these things). So, by all means, prepare an ROI, by all means set up goals/objectives of the proposed initiative at Cases, then focus on meeting Case goals/objectives, making sure dynamically that the Case goals/objectives get updated (because things change) and making sure as well that the strategic resource allocation priorities have not changed (i.e. the ROI and Case goals/objectives were in support of strategic priorities that may have changed, or may no longer exist). Go back to the ROI, for sure, after the initiative is installed and running to compare what you got relative to what you said you wanted/needed and what the time, cost and performance expectations were. For me, the whole purpose of an ROI once approved is ".. to know when to hold, know when to fold". @John... Very interesting ... "Time-poor executives". We should do a forum discussion on this. Who are these people, actually? And, why, when all of us have the same amount of "available" time each day, do some run out of time whilst others always seem to be able to spend a little time each day planning work such that events are less disruptive. Lack of coordination between strategy and ops? Failure to delegate? Staff not motivated? No methods or ineffective methods? On and on. Maybe there is a ranking somewhere? I mastered meetings as a result of working in Japan - mostly stand-up meetings early in the morning, never longer than 10 minutes. When I moved to the tropics, I reduced the number of visitors by wearing a sweater, turning the AC down to 60 degrees, having low chairs with no cushions for visitors. I took pains to hire people with mild OCD for exacting work. Worked for me.. I would not recommend any work mode approach to anyone other than the one that works for them. @Walter - your approach sounds great! As for "time-poor executives", it's well known that the more senior one is in an organization, the longer the hours (lots of research on this). This has, at least in the 20th century, always been true. But the process is now exacerbated. For several decades, the process of flattening organizations, meaning largely the removal of middle management, has added to time-pressures on senior executives. One could say "well they should just manage their time better", and certainly lots of meetings are a waste of time. But there is an irreducible volume of decisions to be made in any organization. Computing and cost-savings have driven the removal of middle-management filtering (and the removal of most secretarial staff too). The software that now substitutes for middle management is only partially effective, because as we have discussed elsewhere, one cannot easily capture all the tacit knowledge of management, i.e. middle management, in software. So senior executives are now responsible for a larger volume of decisions. That's work, the work of decisioning. Decisions probably should be supported by some analysis. It all takes time. So, I agree, the question of "time-poor executives" could be worthwhile for BPM.com. This is the context within which process design and process operations take place. @John.. We need more innovative approaches to "management". When we started our business in 1990, we were in the basement of a chiropractor building. The human rights inspectors had bigger fish to fry so they never came around. We had a German Shepherd, ex guard dog, who liked to be with us 24 x 7, so she came in to the office. The problem was she liked some people and not others. So, the HR tasking always went like this "did you like x?" and then from my partner "did you like x?" always finishing off with "did Aimie like x?".. If Aimie did not like "x", we continued to go thru the list of candidates. It simply was not worth daily growling and "ready to pounce" behavior to hire people Aimie did not like. Retrospectively, we probably should have given her dual status - HR and Payables. John has described well the idea of ROI.. I support his view. ROI is an investment measure. We try to understand the benefits of the investment and put some value on those benefits. Some benefits are rather easy to value e.g. cost reduction or added sales. But how to value added motivation or engagement of our employees.... not so easy. The cost of the investment is in most cases easier to estimate e.g time to be used to develop the process model. But anyway it would be difficult estimate alternative cost e.g. what would be the other activity more valuable. I would not use ROI as a measure of BPM success as such. Too difficult, too confusing, not focusing right issues when making the decision about PBM. BPM is a cultural change not a new product to develop, new equipment to buy or new IT system design. In reasoning of BPM it is more important, does it make sense to the leaders. They have to run anyway the business somehow. What is present ROI (or other measure of the business). Would BPM help the leaders make the business to grow and to become more profitable. This is question of intuition, belief and mind set. There is no way to prove BPM. You either work on BPM or do something else. Not before or afterwards you don't really know what would the result have been, if you would have done other ways. Anyway it is important to measure the intended benefits such as productivity, timely delivery, waste, throughput time, customer experience, employee engagement. These days my favorite theme in my work has been the issue, how build metrics and performance architecture for improving customer value creation. In longer term there is now other way survive in the business. Budgeting and economic calculations do not help here. Note, that in cases of success, we feel that the success was effect of our outstanding activity or leadership. In the case of failure we try to find external causes such as slow market, unfair competition or technical failure. This is a (mind) process, which helps us to keep up in the chaotic reality. Most enterprises are so hilariously bad at measuring either the I or the O that it's hard to put much weight into a calculation involving both. Can't really blame the companies: humanity in general seems flummoxed by questions of risk and return. We spend billions on efforts that make us feel good but offer no economic leverage—all the while neglecting proven, high-yield investments like education and infrastructure. Now, where was I..? Oh, right. Short version is: metrics are only as good as the data on which they are based. Externalities and intangibles (management distraction, customer appeal, company reputation, market posture) are but rarely reflected in that data. Many BPM-driven projects create such externalities and intangibles as a primary or secondary effect. Taken together, one concludes that bare ROI may often not reflect the actual value created by such projects. @Scott Precisely . . . . ."Externalities and intangibles are but rarely reflected in that data"
This is why SROIs were invented, but I don't see many of these being prepared/ presented to top management. Good point. And it's probably because "top management" has neither been trained to understand the value of externalities and intangibles, nor are they compensated based on those categories. I imagine that, having been met with a blank stare following a proposal to minimize externalized costs or maximized the value of intangible results, middle management may be reluctant to keep trying. Looks like I identified, almost eight years ago, (May 2010), three maturity metrics for assessing BPM process improvement implementations. Reading this over, I don't see that much has changed - same basic approach (i.e Orders InTray), same results "..consistent use of ‘in line’ best practices leads to better outcomes." No mention though of RALB or FOMM. Implementing BPM? No, you DO BPM. And yes, you can implement some toys or do some gantt chart staring to do it a little better. But what's better? As said above that can mean many things. Faster, cheaper, higher quality, more compliant, more flexible. And that's why I don't like the words 'implement' and 'BPM' tied together. It assumes it's some kind of project with goals, milestones etc. So no big BPM projects for me. But a process improvement culture where processes get better evey minute. So one day ROI can be negative, while the other day it can be positive. Man, I really sound like an AgileLeanProcessConsultantSomeone, don't I? OK, we can use some other word other than "implementation"
But, "change management" is something some consultants do and initiatives like these require planning, take time, cost money and they have goals, and objectives so, by my book, they are "projects" (i.e. if it walks like a duck, swims like a duck . . . , we might as well admit it is a duck). I don't see BPM as being something "special". @Emiel -- LOL "GANTT chart staring" . . .
As for BPM and "implementation", if we consider BPM as "technology" + "methodology", can not one consider that implementation is an appropriate term? I agree with you that "BPM just is" and "process just is". But if one wants to rationalize one's process, add some software, become more systematic with practices, is this not a programme and a project? 1) RE "But a process improvement culture where processes get better evey minute" - actually, not only improvement, just managing your business via processes. 2) RE "So one day ROI can be negative, while the other day it can be positive. " - Yes, ROI calculation is an ongoing activity. I am unable to see a direct link/path from "processes" to building / sustaining competitive advantage. So, isn't top management managing scarce resources rather than processes.? @Karl, to understand it is necessary you have to read all my blogposts about business architecture. Here I can provide a short version. The key is that bigger capabilities are created from smaller capabilities via, surprise, surprise, processes. Considering that capability is an ability to do something with a particular level of performance, ONLY via explicit, formal, machine-readable and machine-executable processes the organisation can build bigger capabilities in TRANSPARENT and PROVABLE manner. @Walter, may I encourage you to visit Geoffrey Moore's Four Zones material that I mentioned above (if you aren't already familiar)? It suggests an answer to the key questions you've highlighted above re: where management should focus. @John, thanks for a very important clarification. Let us adjust my statement. Please let me know what do you think about it now. In any business, “bigger” (with emergent characteristics) capabilities are formed from “smaller” (available) capabilities. (Note: A capability is an ability to do something with a particular level of performance.) Because emergent characteristics are exhibited as the result of interactions between “smaller” capabilities and with other capabilities, some coordination of such interactions is mandatory. So far, ONLY business processes (process is an explicit, formal, machine-readable and machine-executable coordination) allow the organisation to build, run and improve “bigger” capabilities in PREDICTIVE, TRANSPARENT and PROVABLE manner. Yes with the many aspects to the measurement as many articulate. At least measurement should be quick, positive, tangible and meaningful.......unlike most historical "IT" driven software projects which does place emphasis on fact that a BPM project including digitisation is a business initiative. Gartner analyst John Dixon has a simple formula for why it's important to gauge the success of BPM efforts: "No measures = No results = No justification." And ultimately: "No sustained improvement." In other words, if you can't quantify the results of your BPM projects, you're unlikely to reap long-term benefits from them—or gain support for future initiatives. ROI can be the right measure but In order to understand the real success of a BPM program, it is important to get back to some fundamental questions that made us choose BPM as an option. Has that helped us become a more employee-centric organization that channelizes the employee potential into activities are more productive? Has it helped us become more customer-centric? By definition, ROI is the only measure of business efficiency and success of any business initiative, such as BPM. On most fundamental level the mission of business is to invest and return the money with a surplus value. ROI measures exactly this. However, as with many generic and universal indicators, there appear a lot of confusion with correct evaluation of ROI. At first, ROI looks quite simple and straightforward to measure. Take the cost of investments, find returns and get the result by comparing both. Crucial and often missed factor in this simple calculation is time. Suppose you are planning to run 100 meter sprint and make an investment to win it. The time of return for your investment is exactly the time necessary to finish this 100 meter distance. Everything, which happens after does not matter. You win or loose, profit or bankrupt exactly on your distance. Suppose now, you are planning to run a marathon, but invest similarly into your sprint strategy. You will win 100 meters but will loose the marathon exhausting all your resources prematurely. Marathon has completely different successful investment strategy than a sprint. Every company must have a complex hierarchical combination of short-term targets and long-term goals aimed to cherish its local successes into strategic growth. Respectively, every such goal requires an individual ROI measuring the success over a given period of time. Using an improper ROI measured for another goal will cause inaccurate estimate and may yield business failure. BPM helps organizations to correctly build hierarchies of tactical and strategic goals in a form of business processes and facilitates correct measurement of respective ROIs, which might be otherwise difficult to recognize and estimate.